Louise Murphy is an emerging artist working in the medium of glass. She holds a bachelors degree in Glass Craft Design from the National College of Art and Design, Dublin, with a one semester International Student Exchange placement at the Southern Illinois University (SIU) Glass Program in the USA. She was a scholarship recipient in 2015 from Pilchuck Glass School and NCAD to study under Kazuki Takazawa at Pilchuck WA, USA. In 2016 she was awarded a full scholarship from The Corning Museum of Glass to take a master class in cold working with internationally renowned artist Mel Douglas. Her work has been selected for international and national exhibitions including Sculpture in Context, The National Botanic Gardens Ireland (2015 and 2016), The International Student Online Glass Art Society Exhibition (2014 and 2015); The International Student Exhibition, Glass Art Society Conference, San Jose, California, USA (2015), Enantiodromia at Gallery Zozimus, Dublin (2016). The RDS National Craft Award exhibition (2016) and SO Fine Art Gallery’s YOUNGIII Exhibiton (2017). 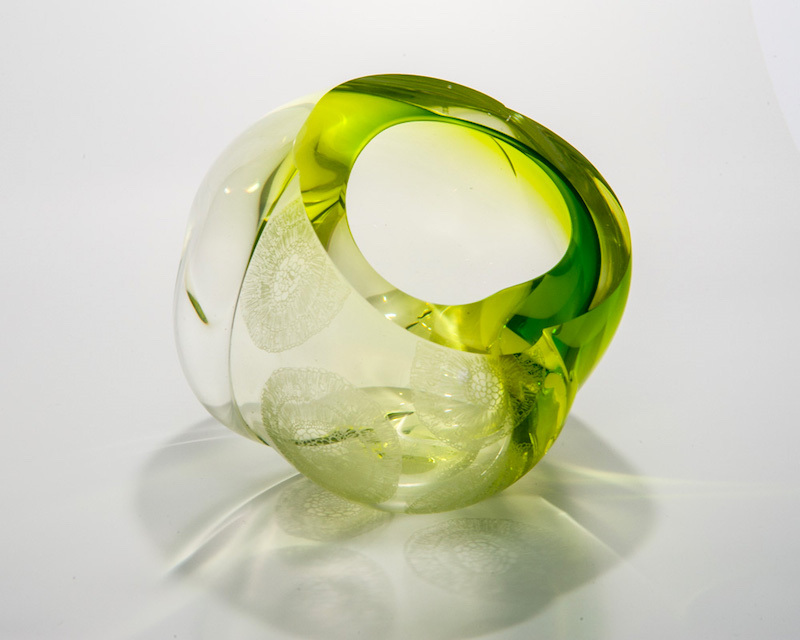 Louise predominantly makes her work through the process of blowing glass, but often works with casting, flame working, cold working and other glass making processes.